Don't be fooled, this isn't a 3-level split... it's a stunning custom-built one-story with full walkout basement! 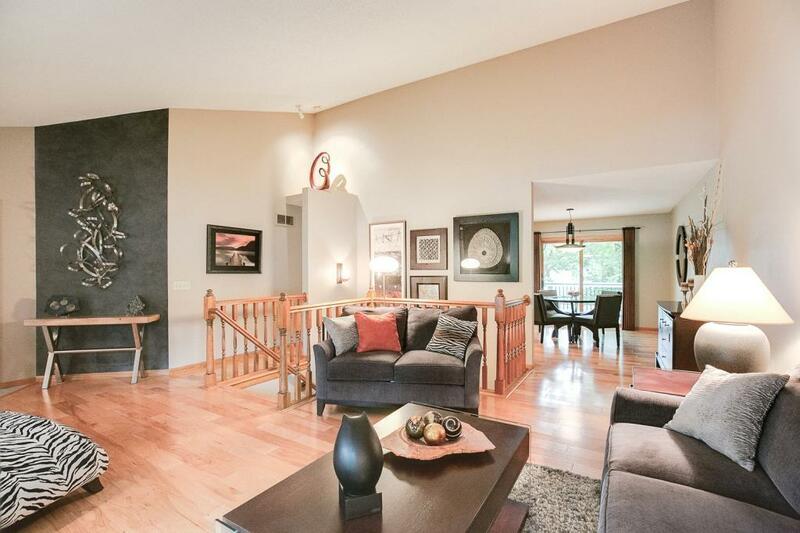 On a wooded corner lot near Fish Lake and trails, the builder built this home for himself. Spacious feeling with vaulted ceiling, gorgeous pecan hardwood floors, custom cabinets, granite counters in kitchen and baths, heated marble bathroom floor, tons of storage! Easy access to shopping and theaters without touching a freeway, only half a block to express bus to downtown Mpls!